The internationally acclaimed stage sensation, JERSEY BOYS is touring the UK and Ireland for the very first time. This smash hit musical has won 55 major awards worldwide, including the OLIVIER AWARD for BEST NEW MUSICAL. 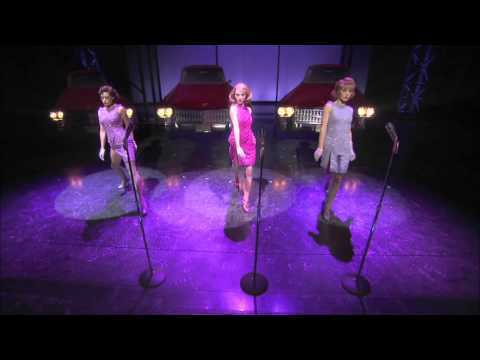 Jersey Boys tells the true life story of four boys from the wrong side of the tracks who wrote their own songs, invented their own unique sound, and sold 175 million records worldwide. Featuring hit after legendary hit including BEGGIN’, CAN’T TAKE MY EYES OFF YOU, OH WHAT A NIGHT, SHERRY, WALK LIKE A MAN, BYE BYE BABY, BIG GIRLS DON’T CRY and many more, JERSEY BOYS is a story full of heart, humour and ‘sheer musical razzmatazz’ (THE SUNDAY EXPRESS) you simply will never forget.